Anywho, after a long morning of shopping at literally one store (H&M), where X and I went together to our respective gendered sections and slowly went through everything that we might have liked, my stomach eventually decided to suddenly stab me in the gut as I realised I was beginning to starve. We tried on everything we might have wanted at H&M as we were really indecisive (like always) about what to buy cuz we're hella stingy (jokes not really, spent wayyyyyyy too much money that day cuz dat Chinese New Year Moneyzzz). As a result, we took a lot longer than expected so we decided to come back later since I was sooo hungry. 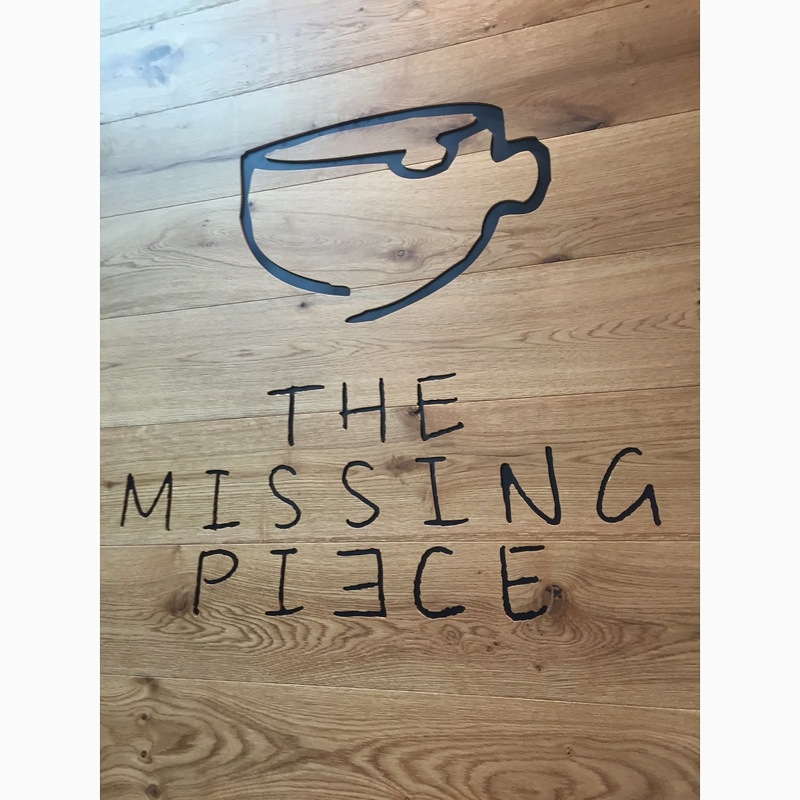 As we walked out of H&M we literally walked all around the food court and then back around until we saw the saw The Missing Piece Cafe, which is a really adorable cafe next to Uniqlo. 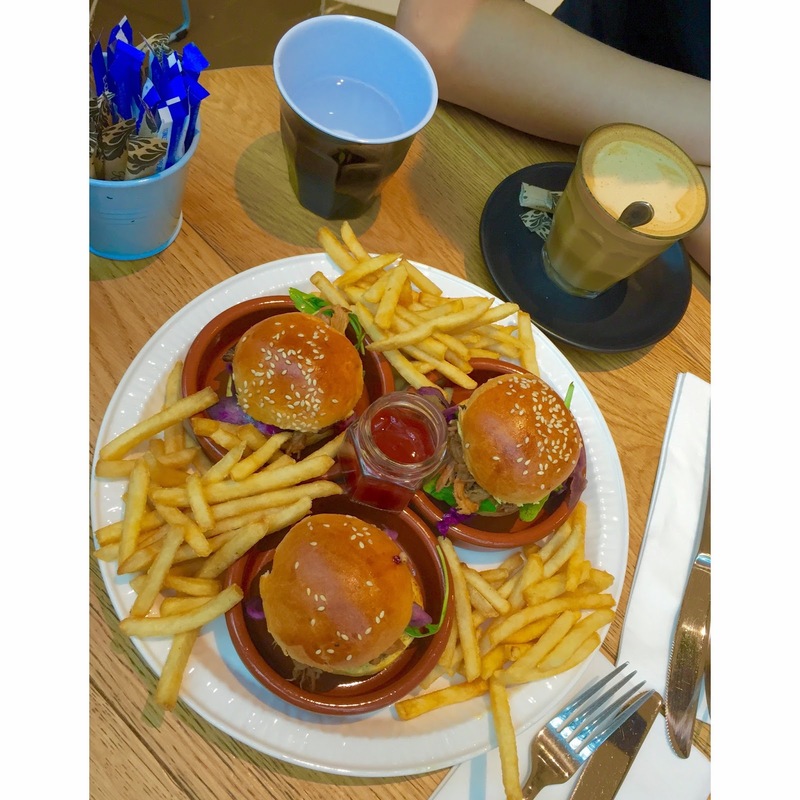 The Pulled Pork Sliders came on these pot plant ceramic bowls on top of a white ceramic plate that looked plastic! It was incredibly adorable the presentation, especially with the random addition of little purple petals. Presentation was on point, but the taste of the food was actually quite underwhelming. 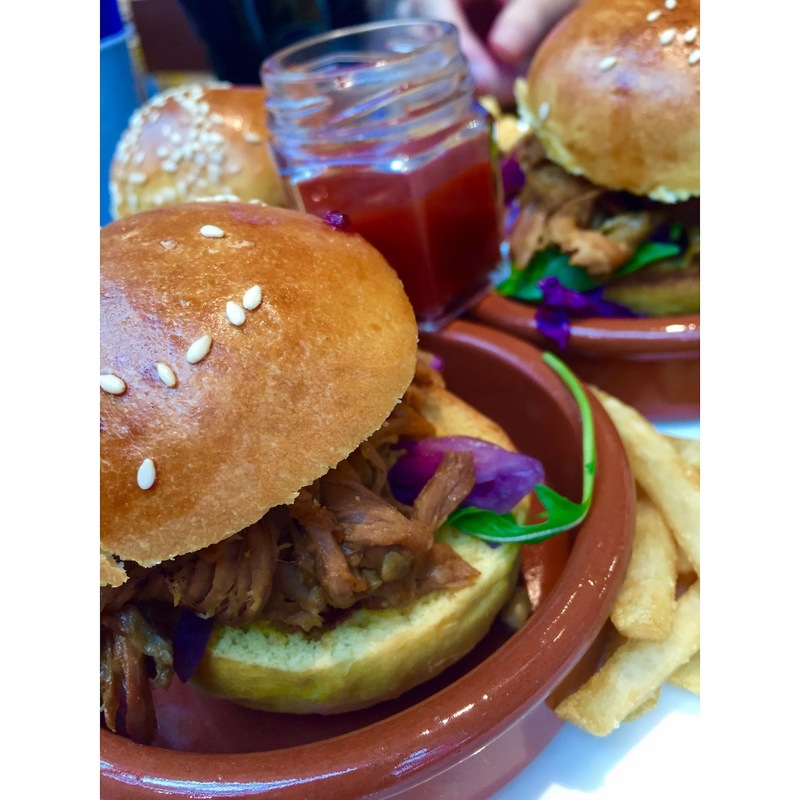 The pork was dry, and no where near as flavoursome and moist as the Pulled Pork Sliders at Paper Planes Cafe | Parramatta. Even with a huge dollop of tomato sauce smeared all over the bun, it was still no where close to being as moist, sadly. There was even some apple slaw within the burgers, not much, but it really didn't help much either. The chips were great though! They were shaped little Macdonalds fries, and taste pretty much the same, and therefore we're pretty much a bunch of amazing fries that were perfectly salted. 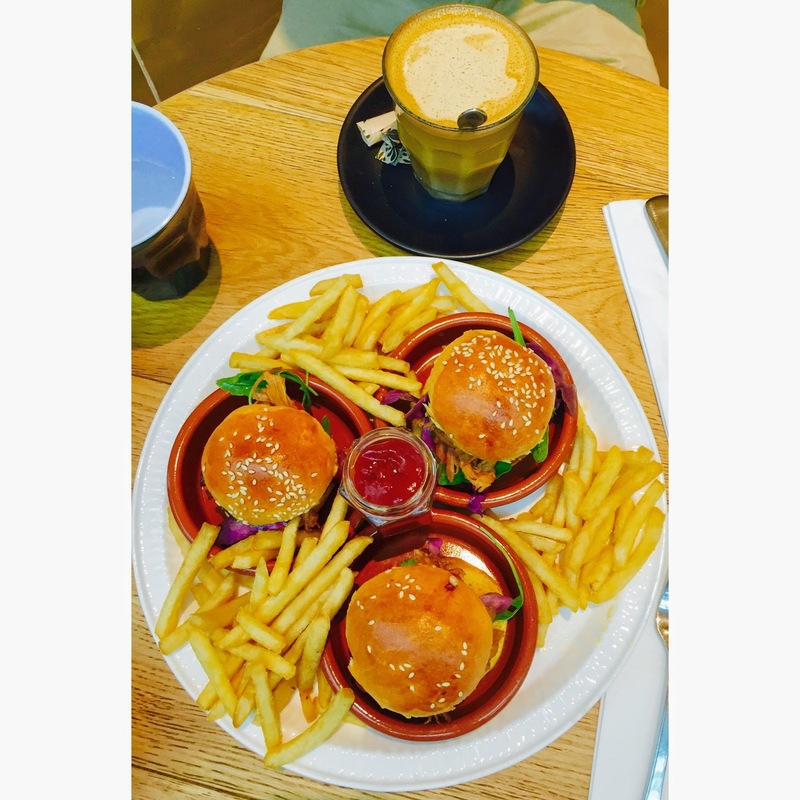 The portion is definitely a little bit bigger than that of the Pulled Pork Sliders from Paper Planes Cafe, which is also a plus but overall I'd rather recommend the sliders at Paper Planes rather than here. 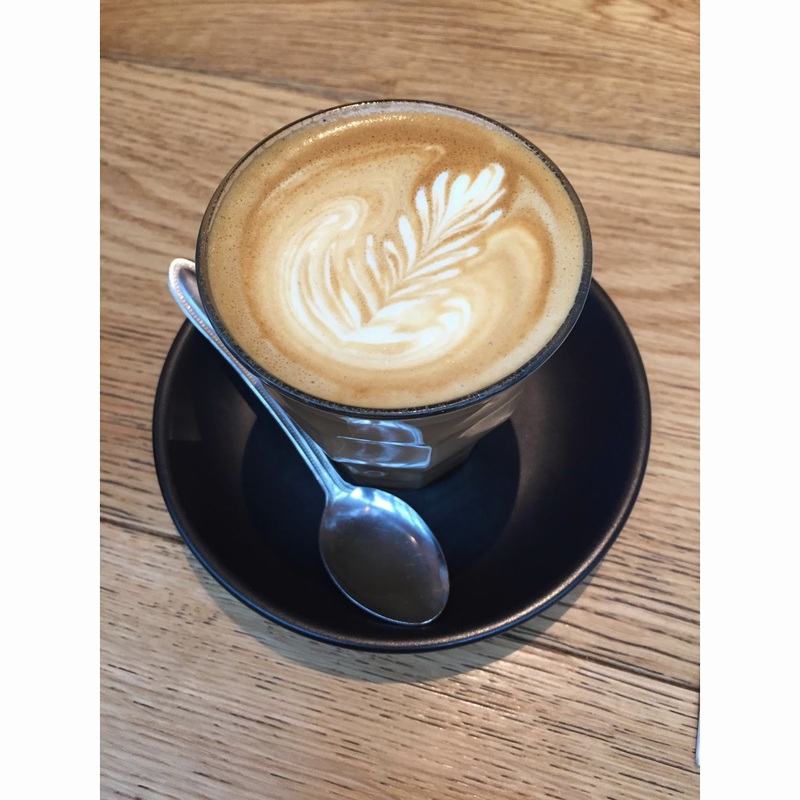 I really enjoyed the latte there, and would definitely recommend :) I don't know if its the best latte or anything, it was just a nice latte and I'd definitely order it again from here if I were to ever come back to Macquarie Shopping Centre.